Learn how to use single- and multi-motif panels to create beautiful quilts with ease! Quilting with panels gives eye-catching results and is quicker than traditional pieced quilting! Use panels with single and multiple motifs. Create a simple pieced border. 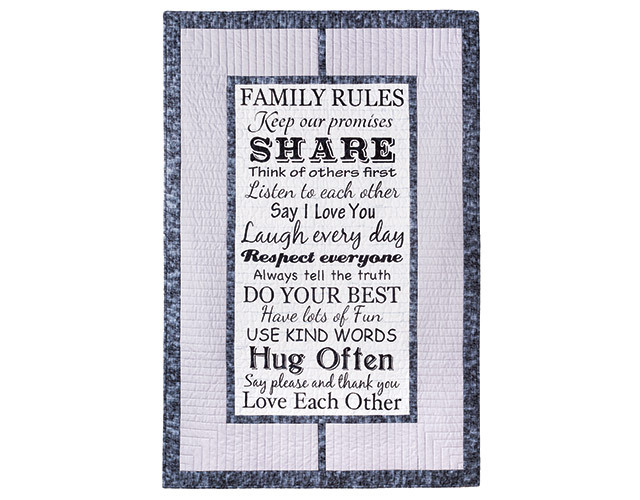 Beautifully finish your quilts with quilting, binding, labels and hanging sleeves. 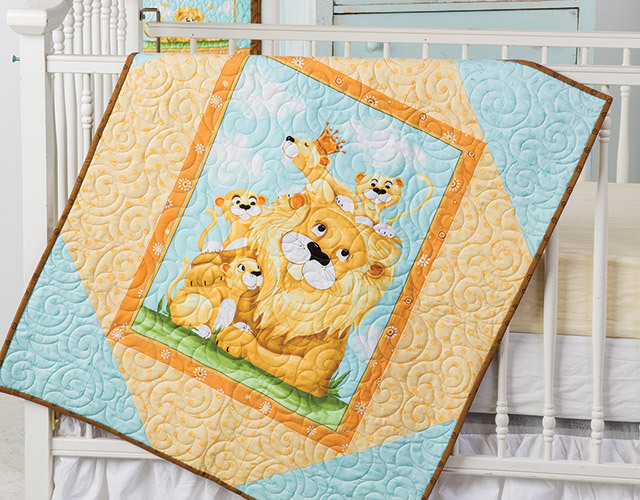 This class includes complete step-by-step instructions and materials list for the Family Rules Wall Hanging, Lyon, the Lion Receiving Blanket and Lyon, the Lion Vertical Wall Hanging. Too many details that should be self understood. Listened until I couldn't anymore. Got nothing of value. This isn't the first class I've taken with Nancy. I really appreciate her style of teaching and am always assured that I will learn everything there is to know about, in this case, quilting with panels. Nancy is extremely knowledgeable about all aspects of quilting. She is a great speaker as well as teacher. I always feel confident taking a class from her and will continue to take classes with her. She always gives 110% which means I'm learning all I can about the subject matter. Nancy is a natural teacher who really enjoys passing what she knows on to her students! I enjoyed this class. Nancy is a great teacher. Have a few panels and now know how to work with them. Very informative class. This class was a very good and informative video class. I have already bought some panels and really didn't have a clue about making a quilt from them. I'm, ready now. So happy that you recommended this class for me. Thank You from the bottom of my heart. So let's get quilting some panels. Always stayed away from panels, not knowing what to do with them. This video was clear and concise. She was pleasant to watch and described things clearly and in order. I'm now going to start shopping panels and can't wait to use her expertise. Very good purchase! Thank you for all the information provided!